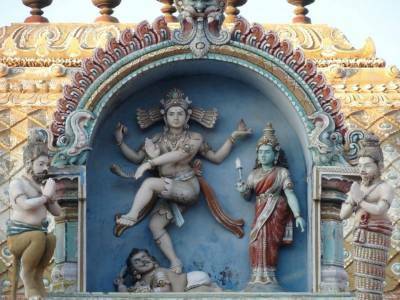 Sri Arulmigu Manakula Vinayagar temple lies in the heart of Pondicherry (or Puducherry). 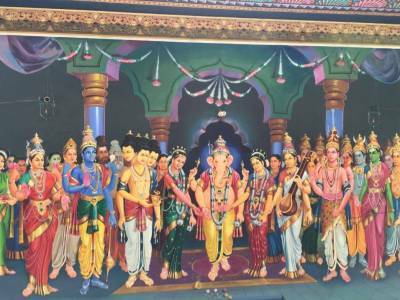 Manakula Vinayagar Temple was is existence before the French came and settled in Pondicherry i.e. before 1666. According to Sasthra, Lord GANESHA is named in 16 types based on his various forms out which this god facing the east coast near Bay of Bengal it has been named as Bhuvaneshar Ganapathy, now called as Manakula Vinayagar. In Tamil 'Manal' means sand and ’Kulam’ means pond near the sea, earlierly which was full of sand around pond. So the people called the god as Manal Kulathu Vinayagar [means God near the pond of sand]. Later it is named as MANAKULA VINAYAGAR. The temple has a rich mythology associated with it and it is believed that during the French rule, attempts had been made to remove the temple from where it stands, by throwing the idol into the sea and every time this was done, the idol used to reappear where it stood, after which the Frenchmen gave up. 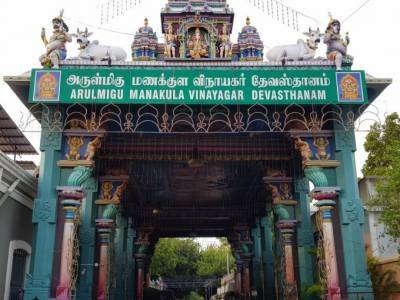 Manakula Vinayagar Temple is very famous in foreigner’s tourists, it is so close to the Aurobindo Ashram and that it has an elephant that greets tourists. The elephant named Lakshmi arrives at 4:00 PM until 7:30 or 8 PM every-day. 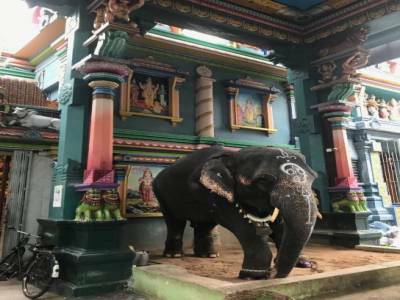 Unlike most temples in India elephants, she doesn't wear chains. She is a really sweet-tempered elephant. Visitors buy or bring a little bundle of grass or Bananas for her to eat, after which she gently blesses with her trunk. 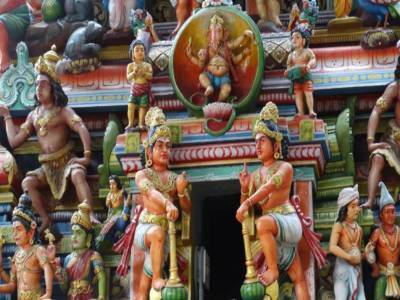 Get quick answers from travelers who visit to Arulmigu Manakula Vinayagar Temple.